Yes, 2.3 was the answer they wanted to receive (as in Android 2.3). 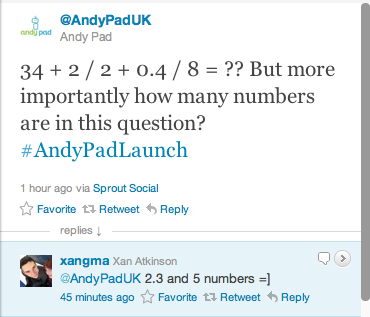 But…now the answer is 35.05 ;/ od they would like to receive 2.3, they should write [(34+2)/2+0.4]/8 . . .